Aster spectabilis 'Macho Blue' (Showy Aster) A really strong growing, reliable selection of a rarely seen plant. 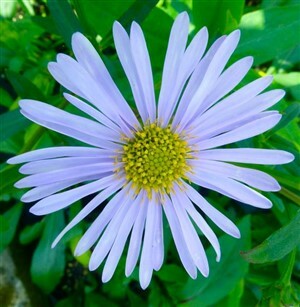 Ideal for dry soils, where many asters struggle this is also a short plant flowering with large soft blue flowers from August through to Oct. Cuts well. (Eurybia spectabilis 'JS Macho Blue').